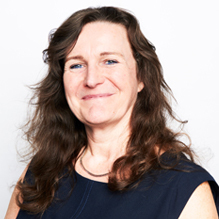 Jo Fyne is a highly Specialist Mental Health Practitioner & Group Analytic Psychotherapist currently working in a local Child Mental Health NHS Team looking after Children and Adolescents. She has also worked in adult mental health and in outpatient settings and in psychotherapy services. She has a Diploma in Group Analytic Psychotherapy and a Diploma in Occupational Therapy. She is a Member of the UK Council for Psychotherapy and Member of the Health & Care Professions Council. Jo has over 30 years’ experience working in the NHS and has worked abroad. As a dual qualified therapist, Jo offers support to both Adults and Children & Adolescents around a range of issues, including Anxiety, Depression, School Problems, Behavioural Issues, Stress & Trauma, Post Traumatic Stress Disorder and Bereavement. She is fully trained in both Psychodynamic Therapy and Occupational Therapy. She also uses Cognitive Behavioural Therapy (CBT), Systemic and solution focused approaches with her patients. She also uses relaxation and mindfulness strategies. Jo is described by her peers as a warm and empathetic Clinician with a wealth of experience supporting Adults, Children, Adolescents and Families. She is dedicated and committed to delivering the best care for patients and their families. Clinical Partners are delighted to welcome Jo to our Liverpool Clinic. You don't need a GP referral to see Jo Fyne.